The Stockholm Syndrome is something people who are held hostage for a period of time can experience. It was named after a group of bank employees were held hostage for six days in Sweden and how, after a time, hostages will often empathize with their captors. Firefighters are no different in how they will defend and support their department even when it’s hard for others to grasp. A close-up lens is a wonderful thing because it provides an intimate view without a contrasting background. We all have our beliefs on fire attack and the procedural methods to accomplish it. If you look at how a department operates, you will see similar fire attacks, not just because of SOP’s, but because of belief. If a department changes like the wind, it probably had a weak stand on tactics in the first place. Some are constantly looking for something and ending up with too many options. If you see a department that doesn’t change much, that is not necessary a bad thing. It is just that change often has a lot to prove before it is implemented. Departments that operate under a system that many progressives would cringe over must realize that they are doing it their way too. 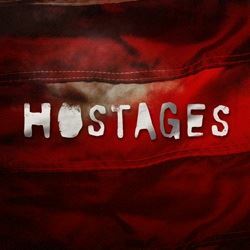 They are just as much hostages as the constantly changing department is, but for different reasons. The first department is subject to constant change while the other is married to routine. The problem with the first system is that they will probably keep changing and adopting all types of tactics creating a vast options menu and a very confused officer core. The second group has no such confusion and while they may appear to some as very legacy, they operate with a broad understanding of capability and uniformity of fire attack and are slow to take on new options. All will defend what they do, they have no choice. It’s what they believe in. The bigger question is will the first department ever get it straight and when will the second department ever modify? Neither will until they are released from their own captivity. This entry was posted in Bulding Construction, Combat Ready, Engine Company, Leadership, Suburban, Uncategorized, Urban by countyfiretactics. Bookmark the permalink. Excellent post Ray. Wise departments that have great leadership evolve or change with a systematic and studied approach. LOL…this UL fire research has the first department running around in circles and the second one totally ignoring the findings. Keep up the great work!